Kayla had her first babysitter! This means that she had to detach from her mother for the first extended period of time since…ever. 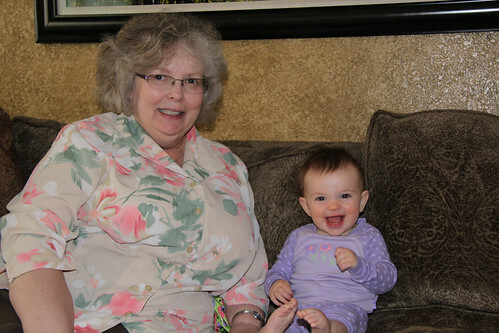 It went well for a while but by the end of the night, Grandma couldn’t figure out how to get Kayla to keep from crying. We got the call and had to get home for the rescue. When we arrived, Kayla quieted down and acted like nothing wrong. Guess that technique works pretty good to get your mom back.